And a happy day to all of you weird people who will be watching football all day, too. . .
We need to take PHOTOS TOGETHER! I’ve been waiting for over a year for you to get your purple clad bottom over here for a picture day. . .
O.M.G. That is the CUTEST thing in the world!!! Very cute! 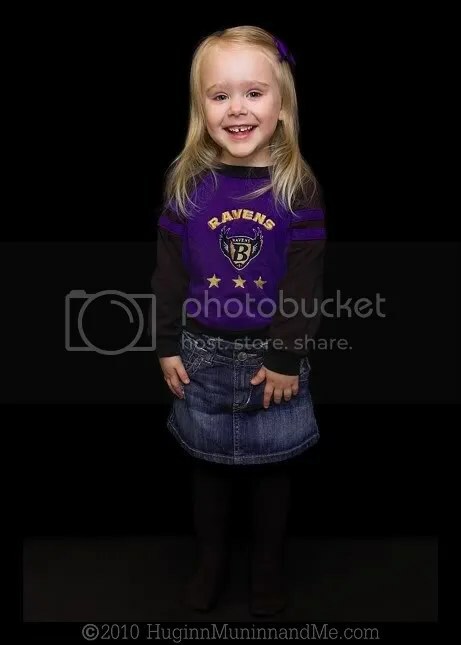 So our little ones could do matching Ravens outfits. We did not buy it…the Dundalk grandma did. Though Mark does cheer for them now (I think because his dad got into them before he passed away). 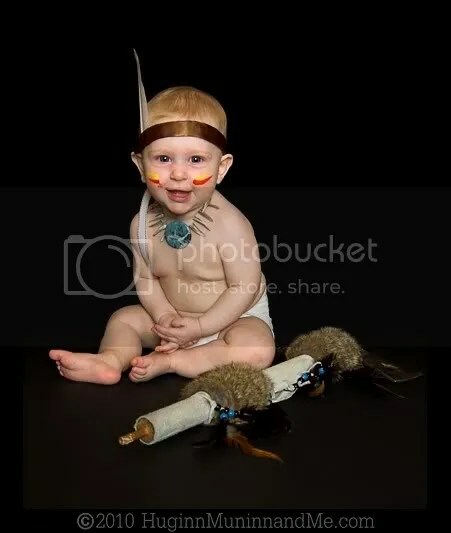 I do love the Native American outfits. 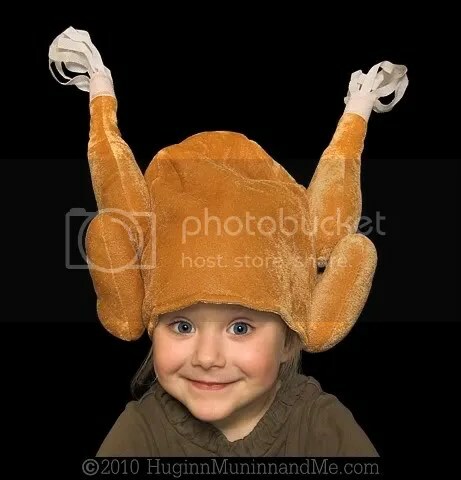 I LOVE the turkey hat!! How adorable!!!! Hope you guys had a great turkey day!!!!! 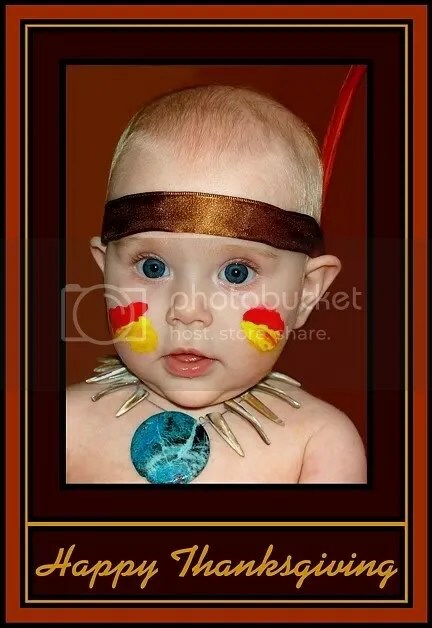 Only problem is… poor Ro baby looks like a little boy indian!! It’s ok tho cus we all know she is a b-e-a-utiful baby GIRL!!!!! Love you guys!! 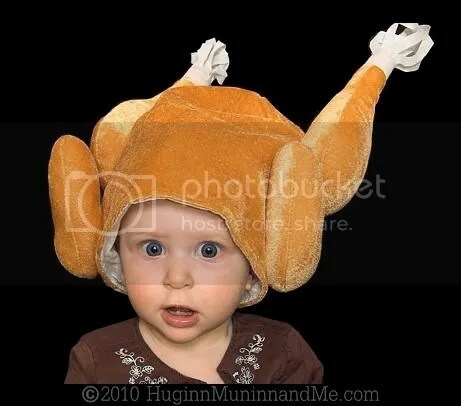 Here’s an image of T on HER first Thanksgiving. She was 2 months younger than Ro is now, but. . . looks kind of familiar, neh? Cutest pics yet!! Hope Thanksgiving was fab!! 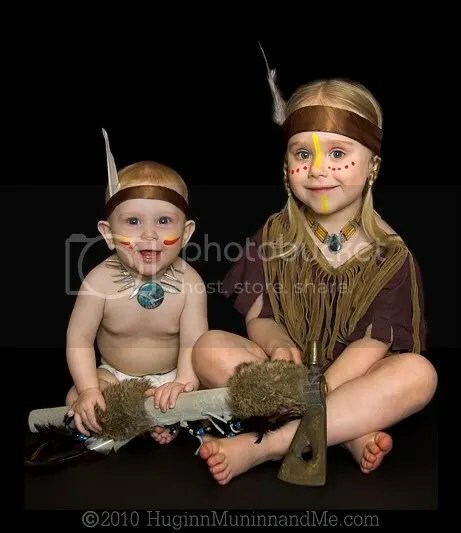 How disturbing to see a scary tomahawk in the easy clutches of two sweet little girls! LOL That’s a very clever photo prop. I love these pics, they are amazing. Ro with a turkey on her head – man, her expression made me laugh! She’s a riot! 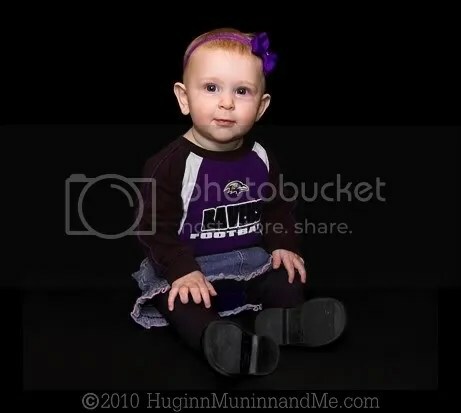 T looks very much the part of a cheerleader in her football pic. Your kids are so versatile. haha! It isn’t sharp. . . I was more worried about Ro trying to eat the feathers (oddly enough she didn’t) than anyone getting hurt. It’s so heavy T could hardly lift it! Thanks! I’m glad you liked them. I really couldn’t pick a favorite this time around! These belong in a published book. What fabulous pictures! And what sweet children. And what an inventive Mom. So glad you share with us. I am deeply offended and incensed. ha, I live for you holiday photo sessions and christmas is right around the corner! hooray! 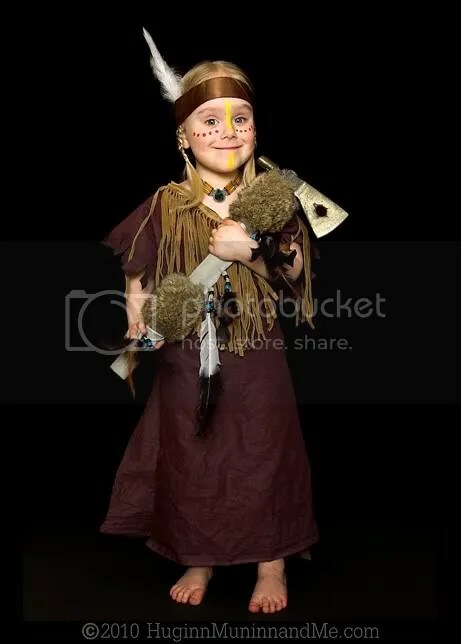 your photos are fabulous – and how adorable those girls and their costumes are! I am also looking forward to seeing your Christmas photos.